Upon my election as Anglican Bishop of Tasmania in 2000, I began to hear the stories of people who had suffered child sexual abuse. At my first media conference I apologised to all victims of child sexual abuse. As the crisis of the church’s failure to respond to child sexual abuse unfolded, I met more and more survivors, reports of abuse appeared in the media and a growing suspicion of clergy was palpable. I was out of my depth and in urgent need of guidance. God’s gift to the Diocese in this darkest hour was an intelligent, wise and experienced advisor. Without her guidance I would have been at a loss. Despite my best intentions I would have compounded the pain of the survivors who came to see me. My advisor wishes to remain anonymous but has agreed to make available to you the fruit of her experience and reflection in assisting churches to be better prepared to deal with the complex and varied issues involved when responding to child sexual abuse. 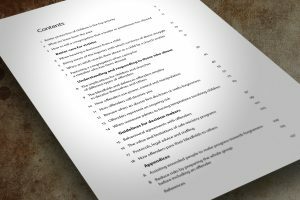 In the pages of her article, ‘Responding to sexual abuse in church settings’, you will find Spirit-given insight beyond our superficial understanding of this devastating tragedy. You will be led to a deeper appreciation of the issues confronting congregations and denominational leaders as we seek to respond to survivors and offenders and above all protect children. May God help us to keep the child at the centre of all we undertake. I wholeheartedly commend this article to you. The above photo is of the Content page. See also, ‘St Mark’s Review, Remembering our Future: response to the Royal Commission’ which offers constructive proposals for how Australian churches might respond to the findings and recommendations of the Royal Commission Into Institutional Responses to Child Sexual Abuse that were handed down earlier this (2018) year). You can read the Editor’s Introduction: Remembering our Future which includes the index of the six articles. 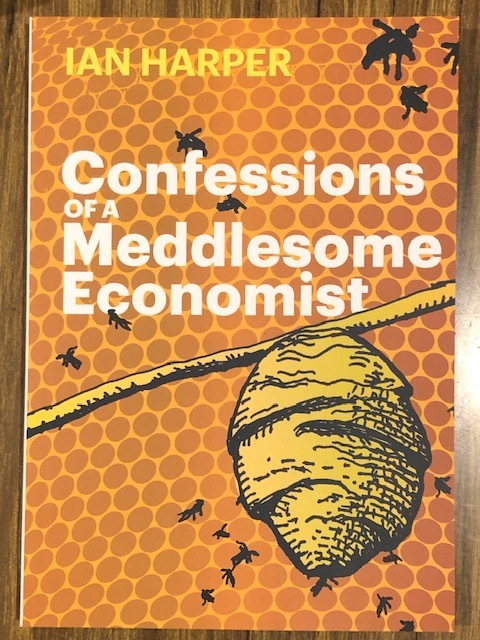 This issue of the Journal is available for purchase here, as are each of the six articles, including a summary of each one’s content, found here. 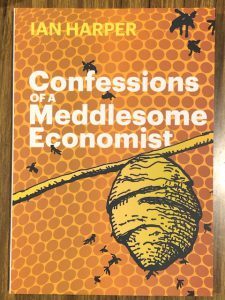 Note, the Journal’s modest price, $17.50, and articles $4, cover the costs of the Journal and I receive no remuneration for the article I contributed – I’m ‘the Anglican bishop’! – see following. Abstract: My passion in putting pen to paper for this article is simple: The child must be front and centre of all that we do. May we have the heart and will to act, putting the child at front and centre of all that we do. My Address, ‘Safe as Churches?’, NCCA Conference -Safe as Churches- Mar 2004 final formed part of the introductory presentations at the National Council of Churches Consultation in Canberra in 2004. I have listed it here on my blog in order to access it online. I recently released a Bishop’s vision for the Diocese of Tasmania in a booklet form entitled “a healthychurch … transforminglife“. Some ten days later I held a Service of Prayer and Reflection for all those who have suffered abuse. This Service was entitled “Out of the Depths” and the Order of Service was published in booklet form. At the end of this Service a woman approached me with her husband and asked if I would sign both the “healthychurch … transforminglife“ booklet and the “Out of the Depths: A service for those who have suffered abuse” Order of Service booklet. I duly signed both the booklets. I was curious, however, and I asked if there was any particular reason for having the booklets autographed. The woman replied that when she heard my “transforminglife” launch address and read the booklet she was enthusiastic about its content but wondered whether this would just be another document collecting dust. The credibility of the Church depends on our commitment to making it a healthy church, a safe church. May God help us to achieve this through our vital NCCA Conference ‘Safe as Churches?’. ‘Eternity’, Arthur Stace’s copperplate script graffiti, continues to fascinate people in contemporary Australia, long after his death in 1967. However, not all aspects of this famous Australian are viewed positively. So, who was Arthur Stace? 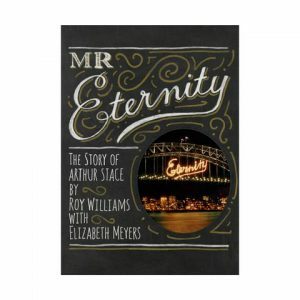 The biography, ‘Mr Eternity’, provides many answers. Arthur Stace, ‘using chalk or crayon every day for almost 35 years’, wrote a one word message: ‘Eternity’. He wrote throughout NSW on footpaths, railway stations, anywhere and everywhere – ‘perhaps half a million times in all’, including on the Sydney GPO’s main bell! Indeed, he was a ’God-botherer’ – his motivation and message came from God. It is also true that for decades he was a drunk and a criminal. Arthur Stace’s criminal activity seemed to be the inevitable outcome of a life formed in a dysfunctional family of alcohol fuelled violence. Born in 1885, even as a young child he relieved poverty by petty theft. Abandoned by her husband, Stace’s despairing mother handed the children over to institutional care. The teenage Stace found that work in a coal mine gave access to alcohol. He became a ‘mean drunkard’ and increasingly ‘abandoned himself to the (Sydney) underworld’. Trauma, following service in the trenches of the 1st World War, contributed to Stace’s periodic arrests for drunkenness, although by the 1920’s he no longer engaged in Sydney’s underworld. The Great Depression resulted in mass unemployment. In 1930 a down-and-out Arthur Stace attended a meeting in St Barnabas Broadway’s School Hall for ‘a cuppa tea and a rock cake’. He heard the Rector R.B.S. Hammond speak of Christ and in the ensuing 37 years Stace would say, “I went to the meeting for a rock cake and came out with the Rock of Ages”. Stace’s life was transformed by Christ. He gave up alcohol. 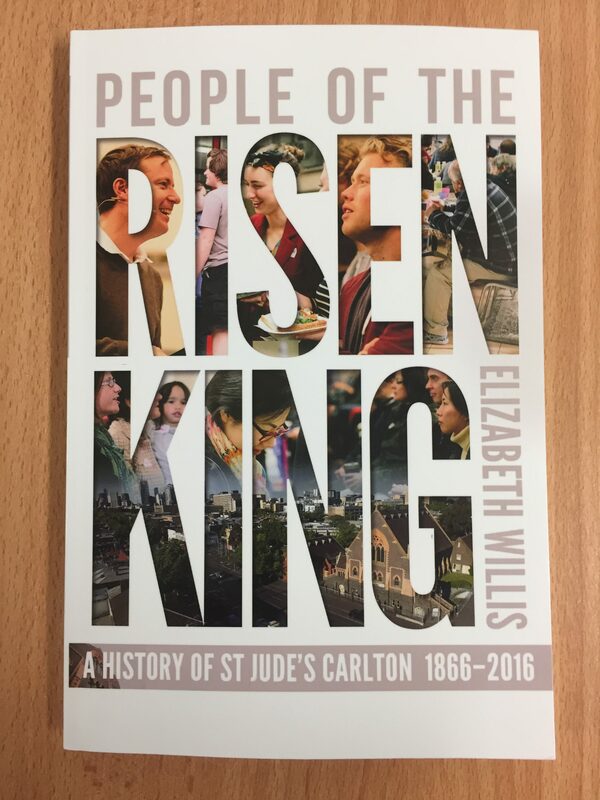 He joined in the mission of St Barnabas’ Broadway assisting to rehabilitate lives broken by unemployment, poverty, alcohol and war service. Thus commitment to their welfare now featured throughout the rest of his life. He was 45 years of age when he became a Christian. If he was once a slave to alcohol and criminal conduct, he continued a slave, but ‘a slave to no one on this earth’, rather a slave to Someone who created this earth. In 1932, two years after his conversion, Arthur heard Baptist preacher John Ridley conclude a sermon, “Eternity! Eternity! I wish that I could sound that word to everyone on the streets of Sydney. . . .Where will you spend eternity?” In Arthur’s own words he “felt a powerful call from the Lord to write ‘Eternity’. I had a piece of chalk in my pocket and, outside the church, I bent down there and wrote it.” ‘Eternity’, chalked in copperplate script, would become our nation’s most viewed graffiti. An intriguing aspect of this graffiti ministry is the hiddenness for two decades of the artist’s identity. 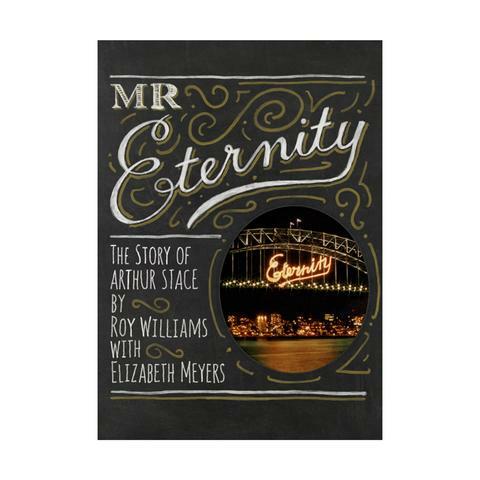 Only the intervention of Baptist Pastor Lisle Thompson in 1956 caused Arthur Stace at the age of 70 to reveal his identity via the Sydney Morning Herald as ’Mr Eternity’. This resulted in even more opportunities for the septuagenarian to share of his conversion to Christ and the resulting radical transformation in his life. Arthur Stace’s dual commitment to welfare work and evangelism is an important aspect of this biography. His own experience of degradation, and then transformation through following Christ, fuelled his life’s calling. His skill and humour in handling interjectors during his open-air preaching was noted. His ‘inimitable style’ made him a sought after speaker. A local newspaper announced his visit, ‘Domain “Deadbeat” to Preacher’! Arthur and Pearl met as volunteers in a city soup kitchen. Pearl was a decade younger than Arthur and, interestingly, it was she who proposed to him! They are buried together in the Botany cemetery, their headstone reading “Rewarded and rejoicing in the presence of their Lord.” The footstone is engraved with one word in copperplate. You guessed it, ‘Eternity’! 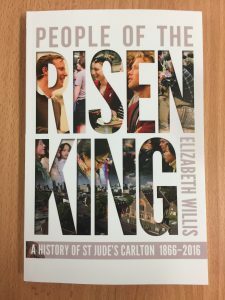 This book review was published in the April 2018 edition of The Melbourne Anglican, here.